Governor Cuomo has launched yet another broadside at the Trump administration over the new federal tax law and its cap on state and local tax (SALT) deductions. Cuomo called a rare Sunday press conference* to denounce last week’s Internal Revenue Service (IRS) clarification of proposed rules disallowing full itemized deductions for contributions to trust funds created by state governments in New York, New Jersey and Connecticut to circumvent the $10,000 cap state and local tax (SALT) deductions. In August, the IRS issued regulatory guidance that said New York’s charitable trust fund work-around wouldn’t fly under established tax principles. Last week, saying it was “responding to taxpayer inquiries,” the IRS issued a brief follow-up saying businesses of all types could still claim full deductions for “business-related payments to charities or government entities for which the taxpayers receive state or local tax credits”—a reference to state programs that provide tax credits as incentives for contributions to private school scholarship programs. Just three years ago, however, Cuomo himself was pushing a similar school choice tax credit program in New York. Some analysts, including one of the “independent tax experts” cited in Cuomo’s letter to the Treasury Department, seem to think the IRS clarification was itself so confusing that it might create a big new loophole for owners or partners in pass-through entities. If true, the Trump administration (unintentionally) has handed Cuomo the kind of SALT substitute he’s been seeking for New York’s highest-earning professionals and investment bankers—and the governor’s outburst could actually be counterproductive. Cuomo’s effort to blunt the New York impact of the SALT cap in the new federal tax law included FY 2019 budget legislation setting up state-operated charitable contribution trust funds to accept (presumably) federally deductible donations dedicated for either education or health care. Taxpayers could claim a state income tax credit worth up to 85 percent of their donation, effectively preserving 85 percent of their previous SALT deduction. Thus, for example, a high-income couple owing state income tax of $500,000 could effectively reduce that bill to $75,000 by donating $500,000 to the charitable trusts and then claiming a $425,000 tax credit. Local governments and school districts were authorized to set up similar trusts with local tax credit kickbacks equivalent to up to 90 percent of donated amounts. Similar legislation was enacted in New Jersey and Connecticut and was being considered in California before the IRS signaled (as expected) the work-around wouldn’t fly. That opinion became formal with the issuance in August of a guidance document that said the IRS would allow full deductions only in cases where the offsetting credits do not exceed 15 percent of the donated amount. This would mean that, in the hypothetical example cited above, a taxpayer donating $500,000 to a New York State trust fund could claim a federal deduction only for $75,000—the share of the donation not effectively rebated by the state in the form of a tax credit. The clarification means that pass-through business owners now could use contributions to those types of [school choice] tax-credit programs to reduce their federal tax liability in a way that individuals cannot. The $10,000 cap does not apply to corporations. Pass-throughs include small businesses such as mom-and-pop operations, but also privately held manufacturers and large partnerships such as law firms and hedge funds. “There’s potentially the opportunity for partnerships or some other pass-through businesses to claim deductions above what they’d be able to do with the capped state and local tax deduction,” said Jared Walczak, a senior policy analyst at the conservative-leaning Tax Foundation. But wait a minute: pass-through businesses aren’t subject to any entity-level federal tax, and their owners or partners can deduct charitable donations only on a “flow-through” basis on their individual returns—which are subject to the 15 percent tax credit limit cited in the guidance. In Indiana, which offers a state tax credit equivalent to up to 50 percent of a donation to a charitable private scholarship fund, the IRS rule issued in August means that only half of the donation will now be deductible. The “clarification” doesn’t seem to change that. Or does it? … School choice programs are programs that the Republicans favor. They give you a deduction, state and local deduction, for donations to private schools, but not public schools, and they favor the donations to private schools. They [Republicans] wanted to make sure their program wasn’t affected, so the treasury secretary puts out a clarifying statement, in tandem with the IRS, saying that regulation only affects public schools, doesn’t affect our private school choice program. The Republicans claim victory. Senator [Pat] Toomey [of Pennsylvania] says, yes our state voucher programs are fine. This would only affect the states that actually want to help the public schools, not the private schools. Of the top ten states who would benefit, nine voted for Trump. So you have a clear pattern. You have a tax policy designed first to hurt the blue states, that’s SALT. When they issue a regulation that might actually effect the red states, they come back and they clarify that regulation to make sure the red states aren’t hurt. Yet, as recently as June 2015, Cuomo was campaigning in support of his own proposal to allow individuals and businesses to receive New York State personal income tax credits for up to 75 percent of their (federally deductible) donations to non-profit private school scholarship funds. 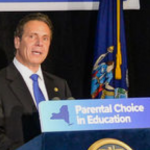 The Parental Choice in Education Act didn’t make the final cut in Cuomo’s 2015 end-of-session deal with the Legislature and his since dropped off his agenda—but for a time, he was happy to campaign for it in front of supportive constituencies (as shown in the photo accompanying this blog post). If Cuomo had won passage of his private school tax credit plan, he might now be able to take some solace from the IRS clarification. Instead, he’s complaining about IRS support for a type of tax preference he favored in the past but now attempts to portray as a partisan Republican hobby horse. Then again—it seems that, far from assuaging the concerns of private scholarship plans, the new IRS statement could “backfire” on the Trump administration, according to this Politico story. * Media coverage of the event was dominated by a bigger story—the delayed opening of the new bridge over the Tappan Zee. ** The Cuomo administration crossed paths with Treasury Department’s inspector general in connection with the latter’s audit of Cuomo’s Innovate NY program. The inspector general’s January 2017 report found “reckless misuse” of $1.6 million in federal state small business credits by Canrock Ventures, one of seven private firms selected to disburse the funds.
.@NYGovCuomo's latest attack on the IRS over the new tax law is his most strained, and strangest, yet. - E.J. 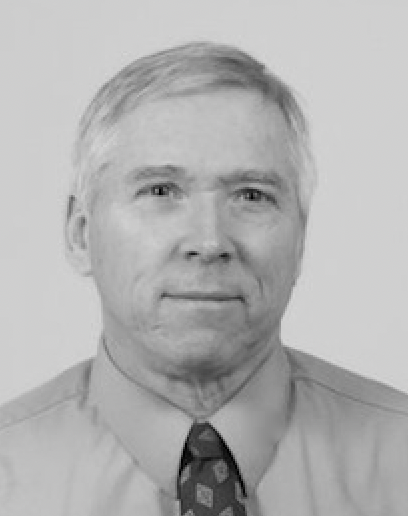 McMahon is the Research Director at the Empire Center for Public Policy. Sign up to receive updates about Empire Center research, news and events in your email. The Empire Center is an independent, non-partisan, non-profit think tank located in Albany, New York. Our mission is to make New York a better place to live and work by promoting public policy reforms grounded in free-market principles, personal responsibility, and the ideals of effective and accountable government. © 2019 Empire Center for Public Policy.